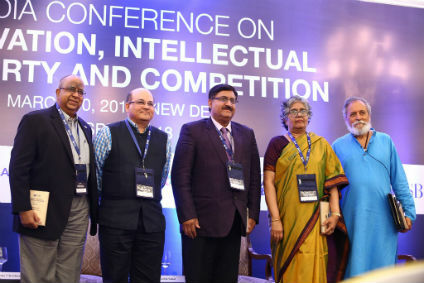 New Delhi: Indian School of Business (ISB), organized the ‘India Conference on Innovation, Intellectual Property and Competition’ today in Delhi. The objective of the conference was to offer a roadmap to manage innovations at various stages in the value chain, which calls into play the various tools of the Intellectual Property System. The role of Intellectual property, from producer to the end user, in relations to innovation was addressed through a daylong conference. In his keynote address, Shri Suresh Prabhu, Minister for Commerce and Industry, Government of India, mentioned that Government is working on having regular interactions with the Start-ups, who are at the forefront of innovations, primarily on regulatory aspects, which helps them in their business initiatives. “By getting over the regulatory challenges of the start-ups, innovations will prove more effective and sustainable”, he said. Mr Prabhu also opined that the Government’s initiatives on ‘Skill India’ are structured to create skilled manpower that would take over the challenges of the future. ‘Skill India also allows people to think innovatively”, he said. Dean Rajendra Srivastava, Dean of the Indian School of Business in his opening address, said that there is a need to integrate insights from West and East to address the tussle between competition and protection. “There is a need for a dialogue between the competing interests of the society, corporate and the individual level for the required value migrations”, he said. Dean Srivastava also said that the theory and practice must come closer for sustainable innovations – “Our Lab is the Market Place and we need to look at ways we could manage ideas”. Dr Girish Sahani, Director General, CSIR & Secretary, DSIR, talking about India’s public R&D, mentioned that the Government R&D institutions are working towards innovation solutions to national problems. “CSIR stands No.1 in R&D Patents and this was possible because of the mind-set change in the scientists to bring about synergy into production systems and focus towards more product based innovations vis-à-vis process based. CSIR is currently positioned at 75th in the Global R&D institutions”, he said. Speaking on innovation ecosystem in India, Dr Rishikesha Krishnan, Director, IIM Indore, pointed out that much of the innovation in India is dominated by the multinational companies. However there is immense scope for frugal innovations in India especially happening at the start-up levels. “Start-ups are becoming increasingly visible. The future of innovation is in e-commerce, Fintech, Artificial Intelligence, machine learning etc. Many companies are looking at India for their R&D needs”, he said. Professor Anil K Gupta, Founder Honey Bee Network & Executive Vice Chair, National Innovation Foundation, in his address emphasised the need for making innovations sustainable and cautioned not to celebrate the frugality which puts the next generation into risks. “We must not focus on frugality which is only for customers but also look into the manufacturers. There is a need to bridge the formal and informal innovations happening in India”, he said. The Padma Shri awardee also urged policy makers to create an ecosystem where the need based ideas of children gets its due. Ms Geeta Gouri, Former Member, Competition Commission of India and Director (Tariffs), APERC, in her address opined that creating new markets is also an important responsibility of the competition commission. Taking the examples of the cases at the Competition Commission on automobile after market and Google search engine, Ms Gouri said: “Anything dominant will result in abuse, but the innovator must get the required credit for his innovation”. Mr Vivek K Kamath, Managing Director, Merck Sharp and Dohme Pharmaceuticals (India), opined that there is a need to focus on both large as well as niche categories healthcare intervention. “Policies are forward looking right now, but enforcement gap maybe the challenge. We need to do better on the enforcement dimension especially related to Intellectual Property Protection, Patented product pricing and clinical trials which will create a robust Indian healthcare innovation ecosystem”, he said. The conference saw a galaxy of speakers speaking on various aspects of innovation ecosystem – IP Index, clusters, Chinese exceptionalism, piracy, healthcare innovation, app economy, trade agreements, intersection of technologies, inequality among others. The interactive conference was attended by around 150 delegates representing industry, academia and the Government. This is the inaugural edition of such a conference organised by the Indian School of Business.